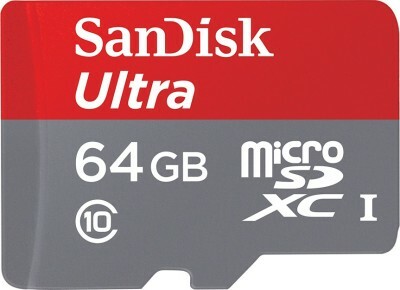 Expand your phone’s memory to make it faster and store more high-definition videos, photos, songs and applications with this SanDisk Ultra 64GB microSDXC memory card. Since it is a class 10 memory card, transferring files to and from it will be fast and smooth. It is also waterproof, X-ray-proof, shock-proof and temperature-proof to keep your files safe and secure.